What evidence is there of an "insect apocalypse" or "insect armageddon," as the press has dubbed this phenomenon since it first made headlines in late 2017? The consensus from scientific circles appears to be that concrete data is needed to complement what most are calling anecdotal observations of plunging insect abundance. There is also the recognition that quantitative studies will be difficult to produce. Meanwhile, we should be rightly concerned in light of well-known factors leading to localized insect population decreases. Science in general is suffering from a lack of public faith due to at least two major problems. The first is perceived inconsistency. One day you hear that coffee is bad for you, the next you learn you should be drinking two cups per day. The other issue is one of guilt by association with government or industry. Scientific research is typically funded by either the federal government or the R & D (research and development) departments of private corporations. Cynical citizens will claim that both government and industry have agendas and they get the research results that they pay for. The media tends to amplify both of these concerns, and if you don't read beyond headlines you are likely to throw up your hands and conclude that you cannot trust science about anything, from dietary recommendations to vaccinations to climate change. Science will tell you not to trust the media, but go straight to the source, which is usually a scientific paper or journal article that will be borderline incomprehensible to the average person. A third problem with the public trust is simply a lack of understanding of how science operates. Science learns through observation and/or experimentation. The scientist begins with a hypothesis, an assumption if you will, that is then proven or disproven through the scientific method of experimentation. Observed results must be reproduced by other scientists before the hypothesis is accepted as fact. This process may take years or even decades. The digital age has reduced our attention spans and patience to a fraction of what is necessary to appreciate the scientific method, and so we jump to unsubstantiated conclusions with far too much regularity. Advertising masquerades as science. We surround ourselves with friends on social media who echo our beliefs and suspicions. All of those voices are magnified by our favorite conservative or liberal news outlet. This is the state of literacy, or lack thereof, that science faces, including entomologists trying to give perspective to the dire reports of catastrophic insect collapses. The fact is that we do not have a proper historical baseline for comparing previous abundance of insects with current populations anywhere on the planet. We cannot do quantitative analyses retroactively, so the best science can do is begin that work now. By the time a conclusion is reached, it might be too late to act to avert a biodiversity and biomass disaster if one is in the offing. What science cannot do is mandate action in the face of any of its findings, and that is equally problematic. We have known for a long while that overuse of pesticides is a problem, regardless of whether it is a factor in the decline of insect populations as a whole. We understand habitat destruction and fragmentation is the greatest threat to all species, yet our cities continue to sprawl, new roads and other physical barriers cut off migration and dispersal paths, and the scale of agriculture grows by leaps and bounds. The conclusion I reach from this perspective is that it probably does not matter if there is a crisis in insect biodiversity and abundance because we are not acting decisively enough, or on a large enough scale, to address the other crises for which we already have agreement. It boils down to this: You can have unlimited individual and corporate wealth, or you can have a healthy planet. You can trust in the scientific method, or you can wear the blinders of ignorance and superstition. Products are not going to be the answer to our global ecosystem problems. Scaling down the economy, agriculture, and natural resource consumption is key. Making a personal commitment to landscaping with native plants, growing a modest amount of your own food, aspiring to zero waste, and driving internal-combustion engine vehicles as little as possible will make more of a difference than you know. Seeing fewer smashed insects on your windshield? Maybe all the other cars already hit them. Anonymous. 2019. 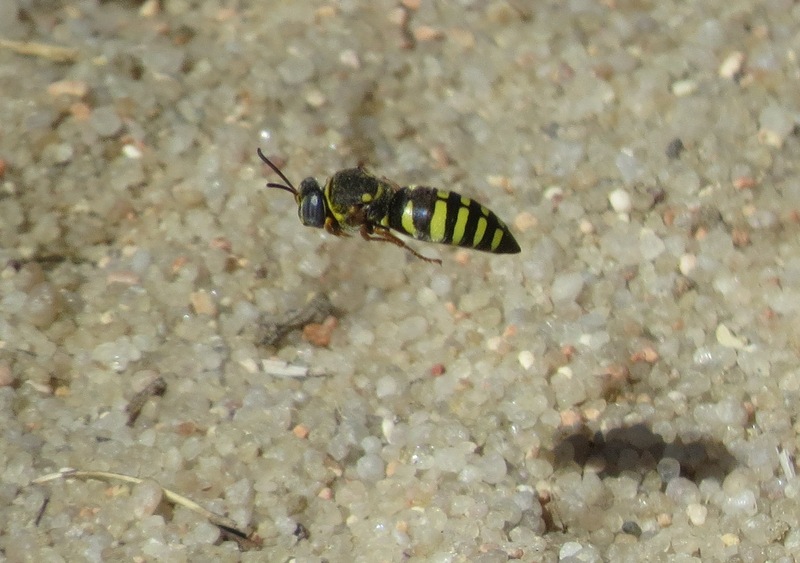 "On the Fate of Insects, Most Troubling is How Much is Still Unknown," Entomological Society of America. About That New "Entomologist Barbie"
A few weeks ago, Mattel and the National Geographic Society announced that they were joining forces, with one noteworthy result: the introduction of "Entomologist Barbie." My initial reaction to this was an eye-roll, but judging by the reactions of most of my respected scientist colleagues, I have come to appreciate this a little more. That is not to say I no longer have reservations. Lately I view almost every new item in the marketplace with skepticism because I have come to believe that "product" is seldom the answer to anything. Problems are often created for the purpose of invention. The problem that this new doll is addressing is a very real one, but the product does not solve it. The issue is the lack of women in positions of leadership in the sciences. Traditionally, Barbie has reflected a very narrow range of career choices for women, narrower ethnic diversity, and a uniformly slender, arguably underweight, industry standard for fashion models. Mattel has gradually begun to recognize that they can have a greater market share in the toy industry by keeping up with progressive attitudes and values. Forgive my cynicism that they care about much else. At least I am less blunt than the writer of this article in The Guardian. Perhaps the National Geographic Society partnership is having a more positive influence on the toy-maker? That would be wonderful. I was pleasantly surprised that in a cursory search of explorers, as associates of Nat Geo are called, there is a respectable balance of women and men, and recognition of global diversity among scientists and scholars. There are young people and elder statesmen. This spectrum of curious and dedicated folk is exactly what it should be, or closely approaches it. You want a flesh-and-blood role model for your girls? Ok, I can offer some, like Dr. May Berenbaum of the National Academy of Sciences. How about Kristie Reddick and Jessica Honaker, the "Bug Chicks?" There's "Bug Gwen" who writes for Wired. Dr. Stephanie Dole is the "Beetle Lady" who makes her living doing presentations to children in California. Oh, I cannot forget Joanie Mars and Nancy Miorelli from Ask an Entomologist. I could go on and on with only the esteemed women scientists I know personally. Most of them are shockingly accessible to you, the public, online and in person. All of these real-life women have had to struggle to earn the same respect granted their male counterparts. Science is still very sexist, though steadily improving, we would hope. Unfortunately, Barbie has no power to further that cause, putting more women scientists into positions of power and authority, influencing policy that is long overdue for redirection so as to be more humane, more responsive to the issues of our time. Meanwhile, National Geographic might entertain more substantive partners from this point forward. Maybe team up with BioQuip Products so aspiring young entomologists, girls or boys, can get their very own magnifiers, insect nets, and other equipment that their professional scientist heroes use. Here is a wild idea: Idea Wild is a non-profit that puts badly-needed equipment in the hands of scientists in third world nations so that they can conduct necessary research to conserve and protect the wildlife of their homelands. They are in their twenty-fifth year of service to our conservationists abroad. They could use a higher profile and more funding. So, before you spring for the beautiful, blonde, bug-collecting Barbie, consider whether you might make more of an impact in advancing the careers of young female scientists, including entomologists, in other ways. More plastic playthings are not going to do that. Dolls are unfortunately disposable, our youth are not. Oh, and as a colleague recently pointed out in an online whisper, Entomologist Barbie doesn't even have the right kind of microscope. On February 4 I was prepared to sacrifice this blog in protest of the desecration about to take place at the National Butterfly Center, Bentsen-Rio Grande Valley State Park, and all the refuges, sanctuaries, places of worship, private properties, sacred lands, historical lands, and current livelihoods in the Lower Rio Grande Valley. I was about to engage in an indefinite "blog-out" as my own hunger strike against the current U.S. presidential administration, the newly-elected (if democracy even applies) leaders of Brazil and Madagascar, and the announcement of a new highway that will likely spell the end of rainforests on the island of New Guinea. When I feel like I am being punished, pummeled....bullied, as I do now watching everything I hold dear being dismantled and destroyed by our current government and those who support it, my impulse is to hit back. My desire is to make tangible the psychological anguish I feel. It is the same behavior seen in toddlers and entirely too many men who throw things, break things, inflict violence on the innocent. They want you to feel physically the emotional pain they suffer from, but their methods of doing so simply compound our collective societal problems. So, my warped reasoning was that if I cannot have nice things like wildlife refuges, the right to the opportunity to experience wild places abroad, etc, then I will deprive you of my knowledge of entomology, my skills as a writer, and my thought-provoking ideas and opinions. You do not deserve them if you are silent about things that matter more than money. For far too many in these times, the hours fall by as joyless days. We worry and fret over everything. EVERY. THING. Each word is a transgression every thought a crime waiting to be committed. I try hardest to be my best but I know at some point soon I will fail. Isn't it inevitable? What if in my earnest attempts to be human, my imperfectionz somehow mar the perfect person I never was? Who will report my wrongs and send me to ruin? Will I show up here or on the six o'clock news? We are overwrought and wrung out with angst waiting for the worst to happen because we'll be better off in some other end. It all has my head hurting and my heart sore. Is there some cure? Hate has found its way into my soul for people I don't even know beyond what they "tweet, or what the headlines tell me to believe -- and I cannot find the switch to flip and make it stop. Perhaps if I could only learn to somehow ignore-- but then I cannot deny or turn a blind eye to so much going wrong. There are far too many "ist's" and "isms" still with us. 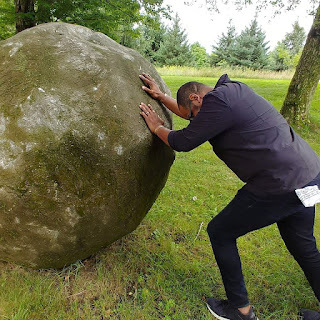 Fighting them all at once is like an eternal career in uphill stone rolling. Just call me Sisyphus. The stress keeps me up late into the night and makes me want to sleep midday even more. Withdrawing seems the easy answer -- just closest family and a few treasured friends --sometimes; and always wildness and birds. Wildness. and Birds. I guess tomorrow (which has just become. now) is another day. I'll be okay. If I just read the right books and watch the right things. Somewhere some thought police will allow me clearance. Won't they? Anyway, sleep mercifully calls. I'll wake soon from a brief nap to wren chatter and roll the rock upslope again. I'll just think of it as job security. Sanity slips in the witching hour but for a few moments soon after the sun comes up, I'll steal away --out there, where joy comes in the form of feathers -- and I can be a movement of one before the hamster wheel spins again-- for just a few moments I'll be hashtagged to a singular cause. Just Being. Thank you, Drew, for expressing exactly how I feel, and compelling me to soldier on, resisting not just injustice and greed and arrogance and ignorance, but my own compulsions to pull the plug on what I do best. The media, and overzealous advocates for the Monarch butterfly, Danaus plexippus, have convinced the public that the sky continues to fall. 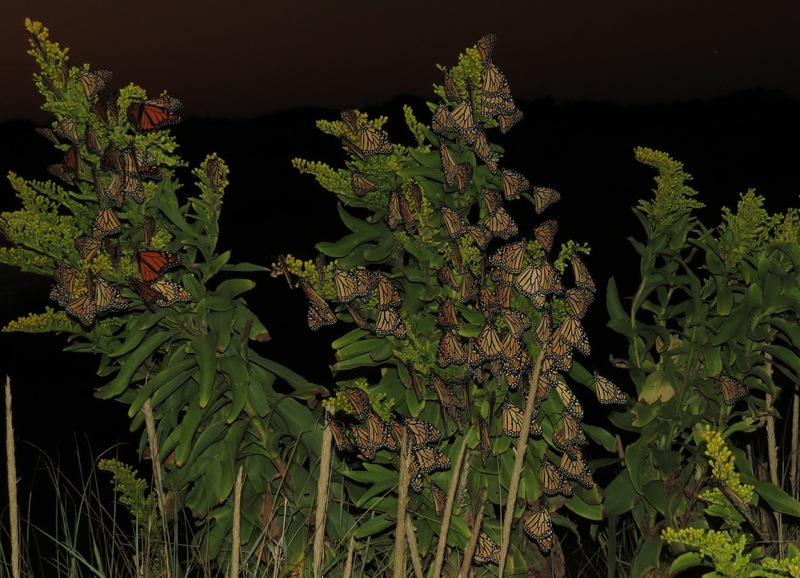 Recent headlines about how the Monarch is going extinct because the overwintering population in California is at a low ebb, down 86% in one year, elicit fear for the butterfly's future. The constant drumbeat of dire situations for the insect is one of several tactics used to keep the Monarch in the spotlight. 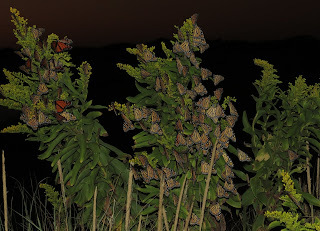 Meanwhile, it was also announced that the census of the overwintering Monarchs in Mexico showed an increase of 144%. These discrepancies in abundance from year to year are typical of large populations of pretty much any organism. So, why the panic? The Monarch is the Giant Panda of invertebrates. It has a lobby built of organizations that stand to lose money unless they can manufacture repeated crises. Well-intentioned as they are, they are siphoning funding away from efforts to conserve other invertebrate species that are at far greater risk. The Monarch is not going extinct. It is even found on other continents. Only in North America is there the spectacular phenomenon of long-distance migration, but to date not a single population has perished. 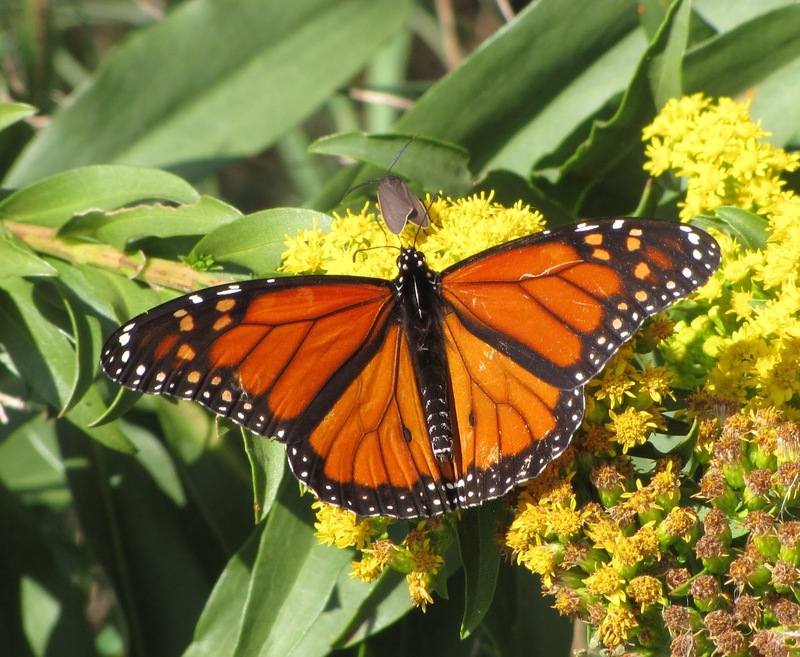 A popular argument for making the Monarch an invertebrate icon is that "being such an icon has really helped us reach the average person about habitat and native plants and conservation, and by extension, the environment and climate change," as one friend on social media put it. Well, if only that were true. If people who care about the Monarch had any understanding of ecology at all, they would not be complaining that "there are beetles eating the milkweed I planted for Monarchs!" They would not be devastated because one wasp killed one of the caterpillars. They would not ask "how do I get rid of [insect x] and still keep my butterflies?" Nature does not work that way. It does not allow you to play favorites. Those who rear in captivity Monarch caterpillars found in the wild rarely understand the complexities of the insect's life cycle. Fertile female butterflies flit leaf to leaf, "tasting" each milkweed plant by scratching the foliage with their tarsi (feet). This irritates the plant, causing it to reveal just how toxic it is. Milkweed plants, named for their milky sap, contain potent toxins called cardiac glycosides. Monarchs have evolved not only to cope with those poisons, but to sequester them for their own defense, advertised in the caterpillars by a bold pattern of black, yellow, and white bands. However, many individual milkweed plants are still too toxic to be consumed by insects. 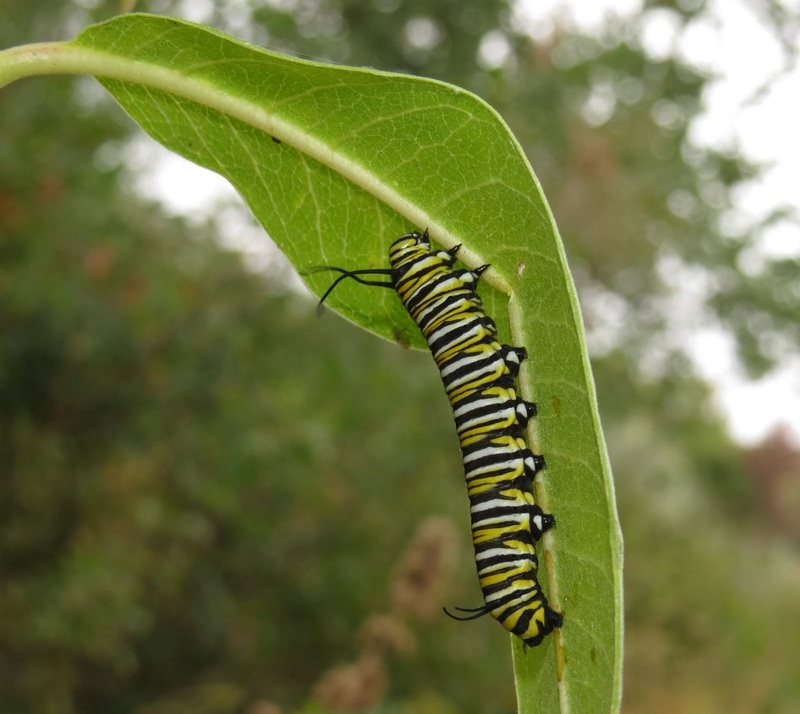 Walk through a large patch of milkweed and plant after plant may be devoid of Monarch caterpillars, milkweed beetles, weevils, aphids, and other milkweed specialists. Then, one plant....everybody. They all found the weakest plant, still toxic, but not deadly to them. People who rear Monarchs may not understand this and wonder why their caterpillars are eating poorly or even dying. Ok, enough complaining about an undereducated but compassionate public. Are there solutions? Yes. Number one, entomologists and naturalists need to stop obsessing over Monarchs and do a vastly better job of teaching about how ecology works, stressing why we need to foster and tolerate all organisms, regardless of whether they are likeable. We must advocate for landscaping with native trees, shrubs, and flowers of all kinds through programs like Habitat Hero by Audubon Rockies. We need to address city codes and the rules of HOAs to reflect the importance of doing away with manicured lawns and exotic plants that offer no habitat or sustenance for wildlife. The nursery industry needs to come around and support initiatives for natural landscapes at the personal property level, in business and industrial parks, and along road corridors. Thank you, this concludes this public service announcement, brought to you by face-palming entomologists everywhere who study insects other than the Monarch.